February 07, 2019 [New York, NY] — Sean John continues its celebration of the 20th anniversary with the announcement of their Spring 2019 “Dream Big” campaign. The campaign will feature chart-topping hip-hop stars Derez DeShon and BlocBoy JB. Derez DeShon, recently signed to Commission Music, and BlocBoy JB, known for his song “Look Alive” featuring Drake, join forces to star in Sean John’s Spring campaign that will feature pieces from the BASQUIAT X SEAN JOHN collection and Revolutionseries. A tireless worker and a pillar of his community, Derez De’Shon is the ideal representative for “Dream Big.” For years, Derez pursued his hip-hop aspirations while raising his family, working odd jobs and relying on friends to make ends meet. Faced with the choice of chasing his dreams or succumbing to the streets, Derez doubled down, throwing himself into his music and channeling his struggle into his art. 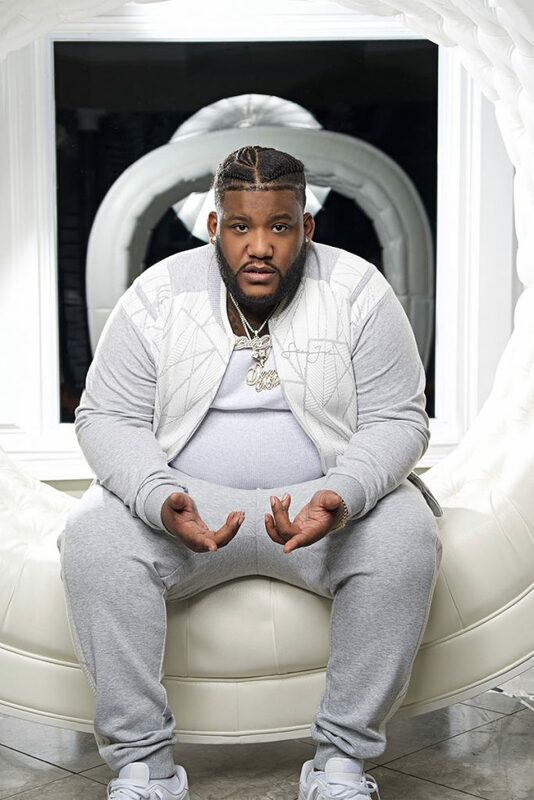 In 2018, Derez broke through with the single “Hardaway,“ a bombastic and infectious trap ballad, which grew from a local hit on ATL’s Power 105 to a Platinum-selling national smash. Signed to Commission Music, a premier indie rap label that houses MadeinTYO, Lil Dicky,and 24 Hrs, Derez continues to play the role of the ultra-talented everyman, dwelling on the realities of hood life on “Hardaway” (220+ million US Streams) and follow-up hits like “Fed Up” (certified Gold by the RIAA) and “By The Scale.” He earned over 500 million streams on Pain, his 2017 mixtape. Featuring appearances from Lil Baby, Lil Durk, Moneybagg Yo, Dreezy, Yella Beezy, YFN Lucci, and Trouble, Pain 2 has already earned over 50 million streams since its release in December. The new mixtape is home to the single “Fallin,” featuring Russ, which racked up over 5 million total streams and earned placement on Apple’s The A-List and New Atlanta playlists and on Spotify’s Signed XOXO playlist.